Cervical cancer is the second leading cancer of female genital organs (after cancer of the body of the uterus (endometrium)), although in the age group 15 to 54 years is dominant among the female genital cancer. It is important to know that more than 70% of cases, regardless of stage of disease, cervical cancer is curable, but his diagnosis in early stages can cure patients more than 90% of cases. In this section you will find information on trends in today’s global experience and capabilities LISOD in the treatment of cervical cancer. Cervical cancer will never develop in unchanged the epithelium (layer of cells lining the cervix). In other words, he is always preceded by pre-timorous epithelial changes, called dysplasia or CIN (cervical intraepithelial neoplasia). Most often, cervical cancer develops in the transition zone – the place of junction of squamous epithelium (which lines the outer part of the cervix – ektotserviks) and iron (which lines the cervical canal, endocervical). Thanks to successful actions in Western European countries and the U.S. system of screening the female population with cervical cancer can be easily detected at the earliest stages and is fully cured in the bulk of the cases. Statistics of the European Cervical Cancer Association (ECCA) show – with the timely detection of cervical cancer can be cured in 98% of cases. After widespread use of screening test, developed in 1950 by George Papanicolaou, based on smears from the cervix and has become known as the Pap test, the number of deaths from cervical cancer in countries applying this test, has declined about 10 times. Today, in developed countries, there is a tendency to reduce the annual death rate from cervical cancer by detecting disease at early stages. Proved virusinfitsirovaniya role in the occurrence of dysplasia and cervical cancer. In 2008, the Nobel Prize in Physiology or Medicine was awarded to Harald zur Hausen for the communication of human papillomavirus (HPV, HPV) and cervical cancer. Modern research has shown that over 90% of cases of cervical cancer is caused by HPV, a common virus that affects more than two thirds of sexually active women during their lives. HPV can cause precancerous condition – dysplasia of cervical epithelium varying degrees-CIN I – CIN III, which in the absence of adequate treatment in time progresses to invasive cancer. Therefore it is important to conduct literacy etiotropic treatment (including bacterial and viral infections caused by dysplasia) to regression dysplastic changes in cervical epithelium and thereby prevent the development of invasive cancer. Frequently asked question – is it always necessary to treat infections caused by HPV. No treatment is necessary only in case of a doctor pathological changes in the cervix for cytological examination of smears and / or colposcopy and, if the viral infection is determined by the first year after its detection. Many women pass the infection on their own without treatment due to immune mechanisms of the organism. 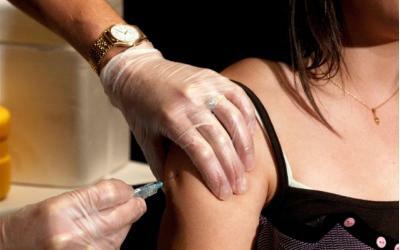 Recently a vaccine against oncogenic HPV strains. It helps preventing most of cervical cancer cases. The course consists of 3 doses, that are injected intramuscularly in the upper thirt of a shoulder: in a month after the first time, and in 5 months after the second time. Such inoculation provides immunity against HPV within 5.5 years. In some countries this injection is included in obligatory vaccination schedule. The most appropriate age for vaccination is 12-13 years. Doctors assert that vaccination prevent cervical cancer development in 100% of cases if it is done before the sexual live has started. As European experts state, if we start girls’ vaccination today, we can expect a significant decrease of sickness rate of adult population.